We are firm in the opinion that we are among the best waterproofing companies in Pretoria South. Our years of experience means that we are experts in all types of roofing problems. 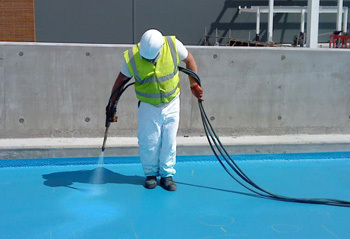 Our waterproofing Pretoria South experts will ensure that not only do you get quality work on your roof but you also that you do not have fork out a hefty fee. Whether you need your office damp proofed, or you’re in need of someone to fix new gutters on your property, our team is always available. Apart from the quality work we do, our roof waterproofing services are among the cheapest you can get in the area. We pride on offering services that will ensure our customers are satisfied and will not have to dig deep in their pockets to pay for them. If you have a problem with your damaged roof you now know who to call for help. You can reach us via our hotline number, 012 004 1887, and our Pretoria South waterproofing team will immediately respond to query, whether it is emergency or a request for a quote. You may also contact us via email and one of our specialists who will happily address your problem.